For many of our patients, traditional metal braces are still the best option for transforming a smile. The materials in these braces are more advanced than ever before, providing a discreet look and smaller profile for enhanced comfort. Traditional metal braces are also incredibly effective and can fix some of the most difficult cases. They work by adhering brackets to your teeth with an archwire, which will appear straight when your treatment is complete. The archwire running through the brackets is held on by colored bands that can be customized based off your favorite color, sports team, or even holiday! Coastline Orthodontics is thrilled to be able to provide clear braces as an option for patients who need the traditional braces style but prefer a more discreet look. Clear braces are a popular choice for teens and adults who want to make a less noticeable statement with their commitment to a healthier smile. 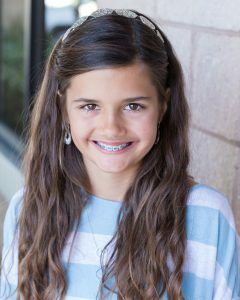 You’ll be struck by the natural look of these smooth, sculpted, and completely clear ceramic braces, which will not stain or discolor and which can be blended in with your unique tooth shade. Ceramic braces offer our patients the look they want, with all of the functionality of traditional metal braces. Their comfortable, sculptured design and attractive translucent appearance help provide the self-confidence that comes from wearing braces that look as good as they perform. To schedule your complimentary initial exam and consultation and learn more about our metal braces, clear braces, and Invisalign, call us today at 904.751.6030. To contact us online, click here to use our convenient online form. We look forward to meeting you!